Build personal and real world relationships with contacts and smartly steer them to happiness. Connect multiple people from same organization/family. Establish relationships as Judge, Opposing Counsel etc. Establish relations as in real world. Easily import your contacts as many times you want. Import from any source or software. Simplified excel format for all imports. Define billing rates based on customer agreement. Custom billing style at contact and matter level. Raise invoices with full confidence. 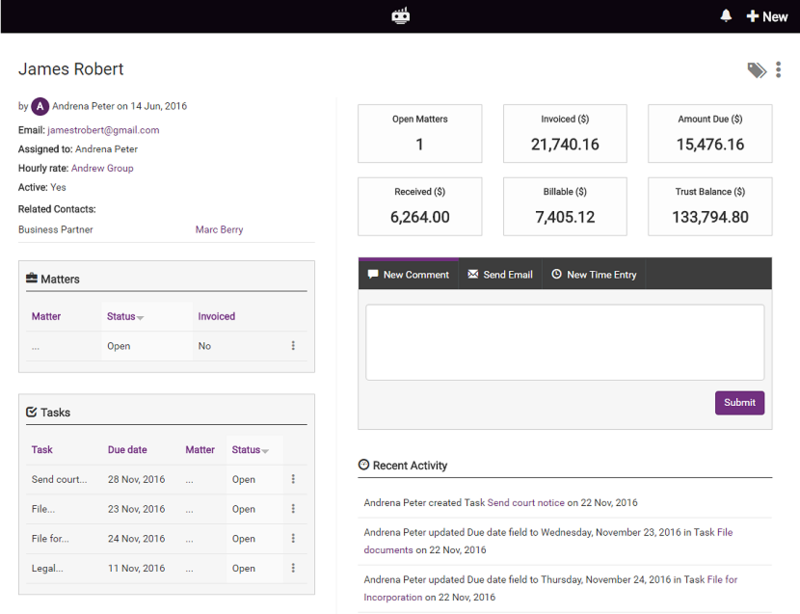 With unlimited custom fields, add as many information you wish to track for every contact. Get deeper insights about them and offer a completely personalized experience to all your contacts. 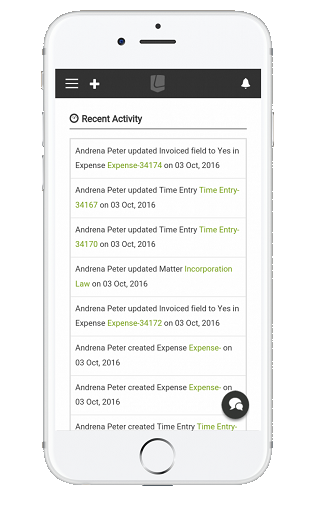 Easily manage ALL your contacts, matters, tasks, time entries, expenses, invoices, proposals, team etc. from a single dashboard. Focus more on your core activities and forget multiple systems for different items.